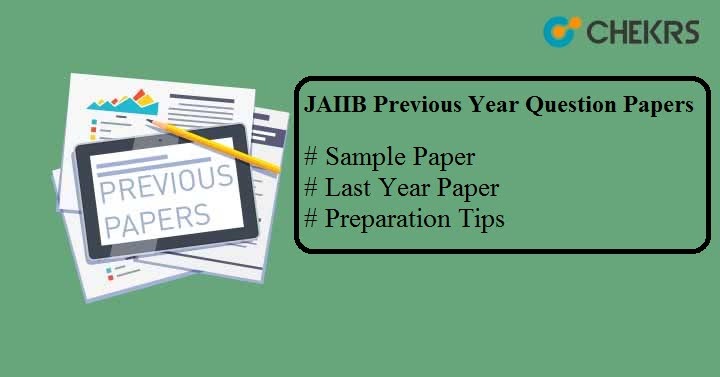 JAIIB Previous Year Question Papers: The Indian Institute Of Banking & Finance (IIBF) is the organization which conducts the examination of Junior Associate Of The Indian Institute Of Bankers (JAIIB 2019). The examination is conducted twice in a year i.e. in May/ June and Nov/ Dec. So those candidates who are interested are required to start preparation of the exam. We have already provided JAIIB Syllabus and now here we are providing information regarding JAIIB Previous Paper. The JAIIB Previous Year Paper helps the candidate to know the examination pattern and types of question come in the exam. After completion of the syllabus, candidates need to do practice and they can do the practice by solving the previous year paper. To do more practice for the JAIIB exam candidate can solve the sample paper. The sample paper includes the latest exam pattern and the type of question which come in the exam. Also, candidates will get the idea of the difficulty level of the exam and the topics which are important, so solve JAIIB Exam Sample Questions Paper as much as you can. We are also searching for more papers especially the previous year papers. We will update this table and list of Papers according to the new finds. Complete the Syllabus and then check your preparation using these papers. Solve previous year paper as well as sample paper to get the idea of the question come in the exam. Practice mock test as much as you can do. Care about those question which is time-consuming. We provided here the all available previous year question paper. If there are any queries please mention it through the comment box given below. We will reply to the answer to your queries. We will also keep this article updated so make sure to keep visiting.